Even if the actual weather is still ruled by winter, the meteorologic spring has just started. 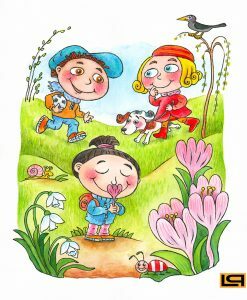 I wish to all of you the real spring mood, which is full of energy, exciting plans and ideas. So open your arms, because springtime is coming to us.